Welcome to the first ever RED HOT RedzAustralia selection of 16 Go-To Australian Travel Bloggers for All-Australian Travel Inspiration! Because Australia’s wonderful destinations have so much variety and so many fantastic attractions, sometimes tracking down the perfect Australian HOT Spot for your next vacation, weekend or day off can be tricky. It’s SO much easier when you’ve got a bit of help from some inspiring Australian Travel Bloggers and their blogs about travel in AUSTRALIA! So how does a blog get on the RedzAustralia Inspiring Australian Travel Bloggers list? I read (and enjoy!) a lot of lifestyle blogs with some travel content, photo blogs, travel blogs with mostly overseas travel content and blogs with lots of how-to and product review content all written by Australians – but they’re not where I go for Aussie Travel Inspiration. That’s why they’re not on this list. For Aussie Travel Inspiration I visit the 16 Go-To Blogs presented below in random order (I drew them out of a hat)! Steve and Alison Kruger show off parts of Australia I’ve yet to see as they hit the less-travelled roads in their Amesz Camper!! But it takes them places we’re unlikely to get to in our Subaru Forester/1983 Jayco Dove camper combo. Illustrated with their own superb photography, 4WDAus is an intriguing journey to places in OZ most of us don’t even know exist! Not all of beardless hiker Greg’s posts are about hiking, and not all his hikes are fiascos – but don’t let this blatantly false advertising put you off! Greg’s epic hiking stories in some of Australia’s more remote and wild (mainly) southern areas are required reading for serious hikers; those who like awesome photography; and people who want a good laugh! Other than climing Mt Kosciuszko, there aren’t many hikes we’ve both done – unless you count the short 2km hike up Mt William in the Grampians. For me, descending 2 km back the same way I ascended was the day’s main hike. For Greg? Well … it was just a warm up! Hitting the Aussie road is a bit more complicated for Rocky Travel’s Michela than it is for me. She specialises in solo travel AND she’s based in Italy, but that hasn’t stopped her from seeing more of Australia than many Aussies. Michela’s e-book Your Australia Itinerary (The Ultimate Guide for Female Solo Travellers) and her blog details her journeys in OZ with invaluable information for independent solo travellers in OZ – actually, make that ANY travellers. And to date, she’s the ONLY travel blogger I’ve actually met! Twice!! What’s NOT to love about the cool Aussie travel adventures, excellent blog posts and fantastic photography that make up Jill’s awesome blog? And I’m not the only one who thinks so – Jill’s work regularly appears in Australian travel and photography related publications. I interview Jill about her travels, her blog and her photography HERE: Red Alert #12 – RED is for LIFE! Gary and Amanda live, work and play in the Outback so it’s hardly surprising their website is required reading for travellers who want to see it for themselves. The travel tips, product reviews, road-trip itineraries, destination information and inspiring photography on their blog make it a superbly readable one-stop-shop – I dare you to visit the blog and NOT be tempted to click on at least one of the posts you’ll see there! 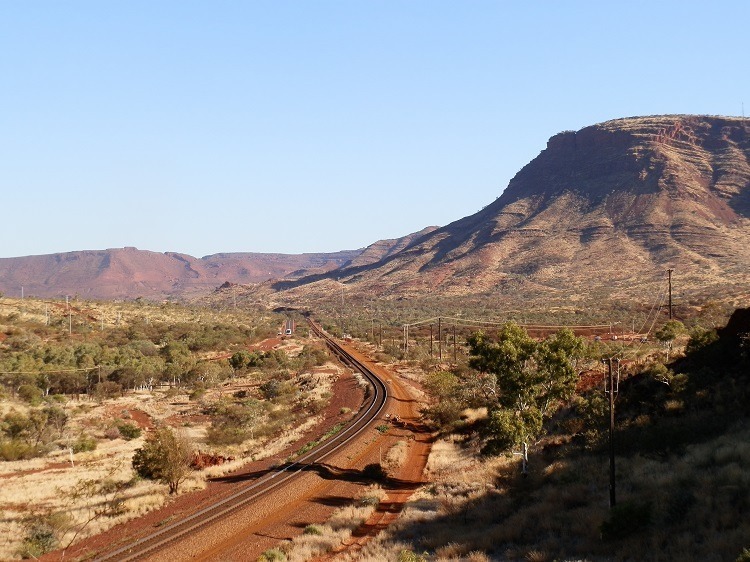 And yes, there IS an Outback destination somewhere in a state or territory near you! 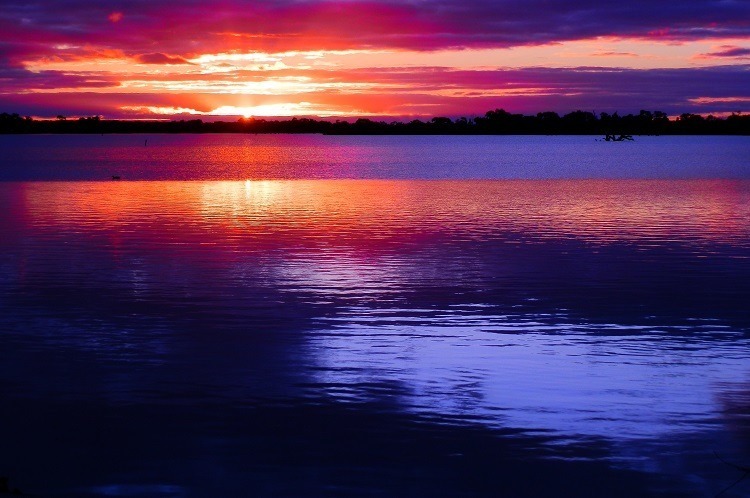 Anne takes a lot of the guesswork out of travelling for her readers by supplying up to date information and how-to’s about a range of Australian (and overseas) destinations, itineraries and road-trips. She’s just released a Travel Planning Template Package on her website. Read RED Alert #11 – InspiRED by Pretraveller! (my interview with Anne) for more information! Think of almost anywhere in Australia – and the chances are Caz and Craig have been there AND written about it during their recent 18 month Aussie road-trip! ytravel also does a nice line in motivation and practical advice for people who dream of travelling but aren’t quite sure how to make it happen! Juz and Dave left Melbourne behind nearly 1000 days ago for life on the road in Australia in their modified Troopie and they’re STILL going strong! In between then and now they’ve been to a staggering number of places all around Australia and made some awesome discoveries. If you want to get up close to nature right off the tourist trail, Juz and Dave show you how it’s done! Who says hiking can’t positively impact every aspect of your life? Not Neil Fahey – he turned his love of hiking into one of the most romantic proposals EVER! He’s also turned it into an awesome blog full of great Aussie hiking hotspots and he’s generous in sharing his personal experience. The blog has also branched out into complementary activities – like geo-caching – so there’s no excuse NOT to get active! Explore Australia’s blog’s posts about natural attractions, activities and destinations all around Australia AND its list of Aussie Travel blogs make it a no brainer for researching Aussie holidays. This publishing company has its finger on the pulse with a great range of complementary books about Camping, National Parks and Walks. Oh, and Scenic Loos! Yes, they published MY BOOK ‘Aussie Loos with Views’, one of Australia’s all time great travel titles 😀 But I digress! Photographer, writer and traveller Kath has a good life, and isn’t afraid to admit it! Her stunning photography and excellent stories of her road trips and other travel adventures in Australia make a great starting point for those looking for places to go and things to see in Australia, but aren’t quite sure where to get started. 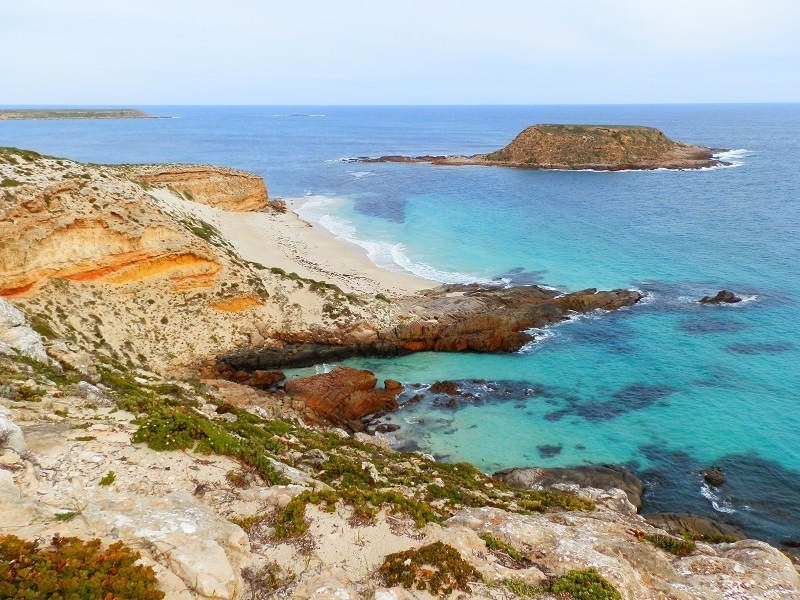 Bonny’s detailed insider knowledge about Western Australia make this well-illustrated blog the place to go for travellers to WA who want to explore in a little more depth than usual. The neat search tool in the side-bar makes finding information about any WA destination easy. Even for someone like me who doesn’t have kids – and has NEVER travelled with kids – this blog is full of interesting places to go and things to do! There’s even an on-line TAWK community and products to assist your Aussie adventures – whether you’ve got kids or not! Amanda’s adventures ARE from all around – but there’s just enough Aussie content to keep her on my list! She’s made it super easy to find her Australian content with a nifty category selector in the menu bar! Tragically, I don’t get to listen to her regular travel segment on Sydney Radio 2UE – but that’s what the blog’s for, right?! Andy explores the culture and history of a destination as well as its natural attractions so visitors to his blog can be assured of reading about things they won’t necessarily find elsewhere! Red Nomad OZ (yes, that’s ME – Marion Halliday!) is a loud and proud advocate of exploring Australia’s awesome natural attractions, cool country towns, hiking trails and bakeries. Oh – and Scenic Loos – I’ve even written a book about them!! My travels are a series of Amazing Australian Adventures and discoveries of the best of OZ. Join me for travel inspiration via stories, information and photos from all around Australia! I’m planning the NEXT Edition of Australian Travel Bloggers in time for the summer holidays- so if I’ve missed YOUR favourite Go-To Blog for Aussie travel inspiration, let me know in the comments below! AND … once you’ve been inspired, find the best flights and start planning YOUR awesome Australian holiday! 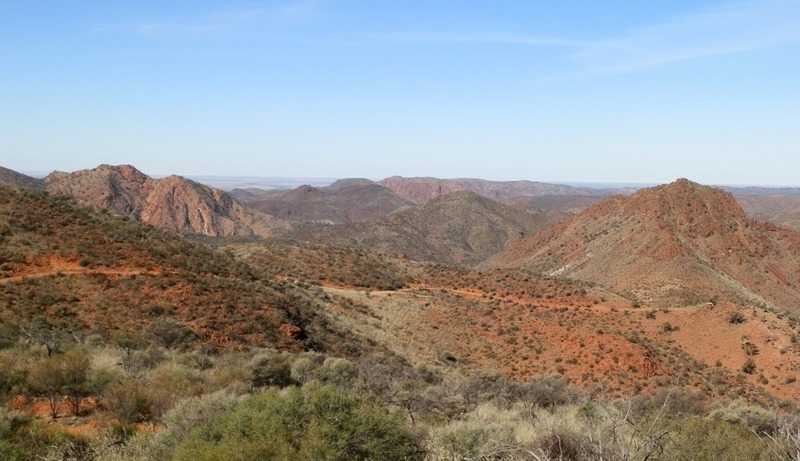 NEXT Post: Red’s 10 BEST Travel Experiences in South Australia! Wow! great list. I enjoyed the information so much. Thanks! Thank you sharing these informative and helpful blogs, you’re awesome with your writing skills. Thank you Stephen! Hope they come in handy! Glad you liked it, Alex! I’m a single Aussie Mum with her son who has travelled the world to 72 countries over the past (nearly) 5 years. We are heading ‘home’ for a while soon, and would love to be included in any future articles. Thanks Ruth! I’m planning to do an updated version soon and will be considering blogs with a high proportion of Australian travel content for inclusion. Hope you enjoy being home! Hello! Thanks for this list, as a fellow blogger I love to read what others are up to. If you ever do a follow-up article, I’d love for my Australia blog to be considered- it has a focus on travel and being an expat. I’ve been planning a follow-up for some time, Katie! Maybe it’ll happen this year 😀 Thanx for the heads-up about your blog!! Thanks for the list! As I dive into this crazy world of travel blogging, it’s always nice to see what the pros are doing. I’m always looking for inspiration ? It’s my pleasure, Bonny! Stay tuned for the updated version in December!! There are some really great blogs here Red – thanks for putting it together. Love your work! Glad you enjoyed them, Quinn! If I’ve missed any, please let me know!! A great selection of blogs with such a fabulous collection of photos! It’s a pleasure, Linda! This list is for ANY Aussie travel blog with traveller info/advice about (mainly) Australian travel destinations and activities and regular posts over the last 3 months! I hope to find more for my new list in a few months time! Thanks for sharing your list. There are some attractive photos here. Although I also read the content, the pictures are what draws me in at first. And to think when I first started blogging, I wrote travel posts WITHOUT pictures, Yum! What was I thinking?!?! Great topic and excellent list. Tourism Australia should definitely take a leaf out of your book. You’ve given me plenty of reading material and what’s sure to be lots and lots of travel inspiration for my favourite holiday destination in the world. Yes, having social media other than a blog to record your travels is becoming more common, TALTD, and I think it’s great! But I’m glad you’re following blogs too – blog posts are more likely to come up in a google search, sometimes a long time after they were posted so it’s a way to have a lasting record. But I love the immediacy of social media – you can show people exactly where you are and what you’re doing right NOW! Thanx for dropping by, hope your weekend has been awesome! Haha, I don’t mind if Tourism Australia learns from me, Karol, as long as they pay me as well 😀 I’m glad you find this list useful – please let me know if there are any other blogs about travel in Australia I’ve missed! I will be checking out these blogs very eagerly for my next Aussie travel adventure. There are a lot of talented travel bloggers out there! And of course you are one of them. Thank you Kathy!! I look forward to reading more about your Aussie travels too – the high amount of recent overseas travel content was the only reason your blog wasn’t on my list this time!! Lots of these bloggers have been to places I haven’t been to yet, Jo-Anne – the more you look, the more there is to see! I had no idea there were so many Aussie travel blogs. I’ll have to check them one at a time over time. There are even more Aussies writing about travel – but a lot of it is overseas! Not that that’s a problem – I just wanted to highlight some of the other blogs who specialise in Australian travel destinations!! Enjoy your reading! With limited time I can’t read many Aussie travel blogs, so I just stick with the best one I know. What can I say. You make me want to quit my job and go again! So much inspiration! I´ll hike my way through there and wish for… well. Being a grey nomad soon. Cause lotto is no option. I need a holiday, too, for going through all the blogs! Set to favorites. 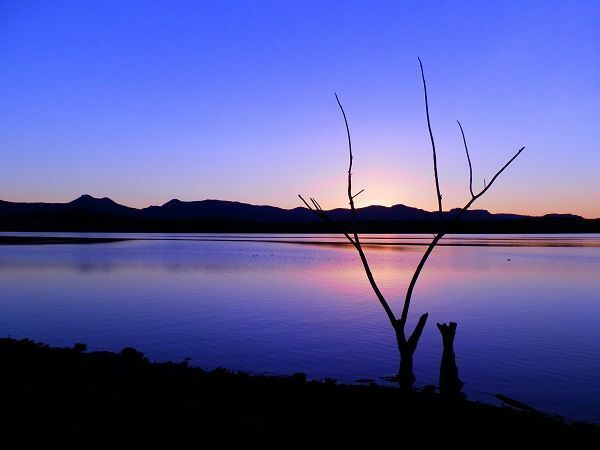 Lake Cullulleraine is a hidden gem, Iris – and there are SO MANY hidden gems like this all around OZ! I’m the lucky one who gets to see them, but I hope you find some more on some of my other GO-TO Aussie travel blogs!! Enjoy!! I will – just can´t wait to start. It´s not in the near future… If I really have to work till age 67 it´s some 24 years! Maybe we find another solution – you have but one life, right? Do you get long service leave at work, Iris? Maybe you can have a pre-retirement extended holiday! Check out Michela’s blog for travel tips, or Caz & Craig’s blog for how to make your travel dreams come true!! It’s my pleasure, Michela!! And including your blog was a no-brainer – you put us Aussies to shame!! Look forward to meeting again one day, and watching the Aussie travel blog scene go from strength to strength! Awesome list Red and in amongst some of my favourites you’ve introduced me to some cool new inspirational blogs too. On this list I’ve met Caz and Craig, Michela, and Jill’s a real life (nearby) friend who I’m so delighted to see on your list. Here’s to meeting you IRL this year … whadya say! thanks so much Red. I am thrilled to have made it onto your list. You certainly are an inspiration to me with your travel blog and adventures. Happy travels!